ExPlane is the app to register aviation noise with your smartphone. Available for Android en iOS via Google Play and App Store. The app registers time, date, location, noise levels and flight number of the plane that causes the noise above your head. See explane.org for more information. Are people getting more annoyed by aircraft? The recent WHO publication setting out its new recommended noise guidelines seems to suggest we are more highly annoyed by aircraft noise than we were 20 years ago. . John Stewart wrote a short paper to discover whether that is actually the case and, if it is so, what the reasons are for it. .
WHO: 45 dB Lden and 40 dB Lnight are max. 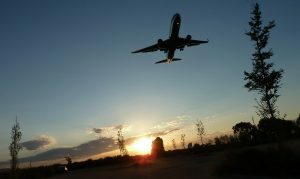 Airplane Noise Complaints Are Skyrocketing: ‘I Start Pushing That Button at 6:33 a.m.’ A new invention allows people in the U.S. to register their annoyance with an inexpensive gizmo, swamping airport systems. This you can read in the Wall Street Journal of August 24, if you pay a euro. Here we write you a summary. Twelve European countries oppose the International Civil Aviation Organization, which continues to lower its environmental requirements. The aviation sector is divided on how to reduce greenhouse gas. This is are the translated headers of an article in Le Monde (original in French on the website). You can also read our translation in English (pdf download). Courtesy of Reid, Geleijnse & Van Tol (translation with admission by Wouter Looman) The original cartoon was published in the leading Dutch newspaper NRC on April 5, 2018. Would people who always take the plane have ever watched the high-speed train network? 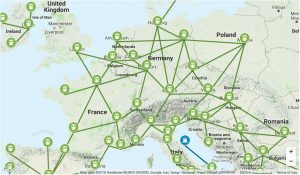 Go to the Eurail website and click on the train icons to see cities and on the routes to see travel times in our interactive Europe rail map. A great success for all the organisations that fight against aircraft noise in Germany: after 40 years of lobbying the Bundestag started a working group on aircraft noise. Participants are coming from all represented political parties. We hope that emissions are also part of the field. 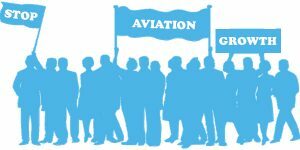 Lelystad Airport: citizens insist on postponement – and succeed! We found the following document in our archives, in this year that we exist 50 years. A speech on the occasion of our one-year anniversary, about the pollution of aircraft engines. Even if you don’t speak French, the tables are clear. 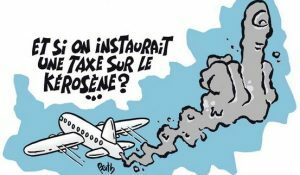 A tax on kerosene of 33 cents/litre and 15% on air tickets could generate more than 25 billion euros in revenue annually: Transport & Environment figured it out. Time Video: How loud noise exposure is linked to heart disease according to new research. Would a steeper descent help to reduce noise? Can a circular runway have advantages in the fight against noise pollution, or does it only facilitate extra flights and more people annoyed? 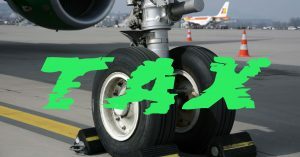 Dutch government urged by airlines to drop tax proposals as NGOs take it to court over ICAO aircraft CO2 standard, writes GreenAir online. Transport&Environment on her website: Emails show Airbus writes aircraft CO2 rules; Commission, France, Germany and Spain complicit. This shows once more the importance of independent monitoring by ngo’s! The ICAO plan for aviation biofuels targets was rejected by 25 member countries, reported Transport + Environment on October 14. Earlier T+E stated that ICAO’s ‘green fuel’ plan is a Trojan horse for palm oil. ‘Aviation is responsible for 5% of man-made climate change; the sector currently emits around 2.3% of annual global CO2 emissions. 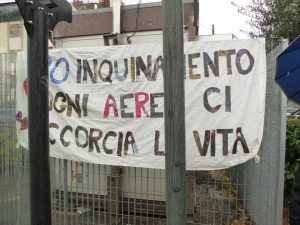 The Brussels government and several municipalities of the capital, and with them their residents, won their case against Brussels Airport: the judge supports the complainants. 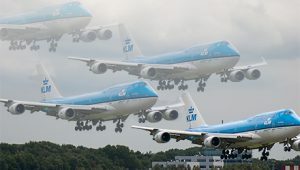 This means that no more night flights over Brussels are allowed on the Ring and Canal routes, and that the operation of the landings on runway 01 must be ended. Next week there is an important voting concerning the European emission trading scheme. This week we contacted our countrymen in the European parliament to convince them to vote for the most ambitious proposal possible. What is at stake? Transport & Environment published a document with the following summary: The complete text you can find here. Lony Wesseling, former Vice President of UECNA, was interviewed on Dutch television about the results of a report of the Security Council concerning incidents around Schiphol Airport. With English subtitles (WL). [metaslider id=5556] Aviation is far away from reaching Paris climate targets after the European Commission proposed not to regulate CO2 from flights from and to Europe, wrote Transport & Environment on February 3. Reuters also reports that foreign flights slip under the radar of EU emissions limits. Thousands of people marched in Germany against airport expansion as part of the German election campaign. Below are some of the exciting pictures and videos. 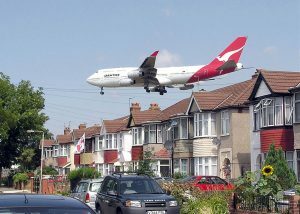 A great video from Reuters, just out, illustrating the health impacts of living under the noisy Heathrow flight path based on the recent study from Imperial College in London.